The most prestigious meeting at Cheltenham Racecourse is The Festival. Where only the best horses, jockeys, owners and trainers battle it out to win the vast amount of prize money on offer, it is second only to The Grand National. Make the most of our Cheltenham festival minibus offers! Be a part of the over 260,000 people who pass through the Cheltenham festival gates over the four days. Join the party with Bouden Coach Travel, we are proud to say that we are an approved ticket supplier therefore we are offering exclusive ticket and transport packages for our clients. Call us on 0800 112 3770 to speak to one of our Cheltenham professionals and book your Cheltenham festival minibus hire. 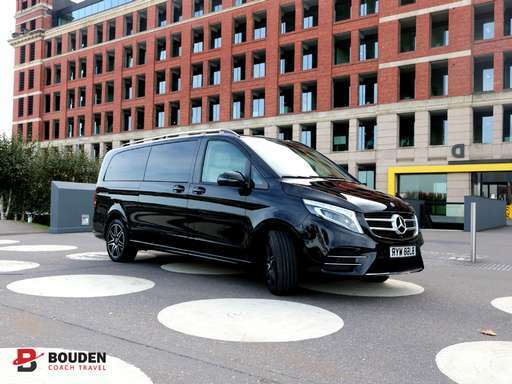 Whether your entertaining corporate clients or planning a day out with friends we have a range of different vehicle sizes and specs ranging from luxury cars, minibuses to full size coaches. If you’re looking to cater to a larger group we also have full size coaches to transport you to Cheltenham Racecourse. We have a vast fleet of vehicles on offer including: chauffeured cars and VIP MPV’s, along with 12 seat minibuses for Cheltenham, 16 seat minibuses for Cheltenham, 19 seat minibuses for Cheltenham and 24 seat minibuses for Cheltenham. Here at Bouden Coach Travel we are committed to catering to all of your requirements whether you request a simple A to B journey or something more luxury. Our Cheltenham festival minibus hire comes in 3 different classes, standard, executive and luxury, therefore no matter what your budget may be we guarantee to have something perfect for you. We are proud to say that our Cars, MPV’s, Minibuses and Coaches are fitted with impeccable custom interiors and ooze luxury, perfect for impressing your guests on your journey to the races. We have vehicles of all sizes perfect to cater to your Cheltenham coach hire requirements. Our minibuses and coaches for Cheltenham benefit from plush interiors, air conditioning, fridges, toilets, tinted windows, music, TV’s and much more. We can provide 6 to 8 seat MPV’s, 16 to 19 seat minibuses and 24 to 62 seat coaches. No matter what size your group may be we can provide you the perfect coach to hire for your trip. We have recently invested into our fleet with brand new luxury coaches to hire for golf trips, these vehicles possess high specification interiors and plug/USB sockets at every seat making them perfect for longer journeys. Here at Bouden Coach Travel we also provide Cheltenham Festival minibus hire for groups of over 21 passengers. Our Cheltenham Festival Minibus Hire vehicle sizes.